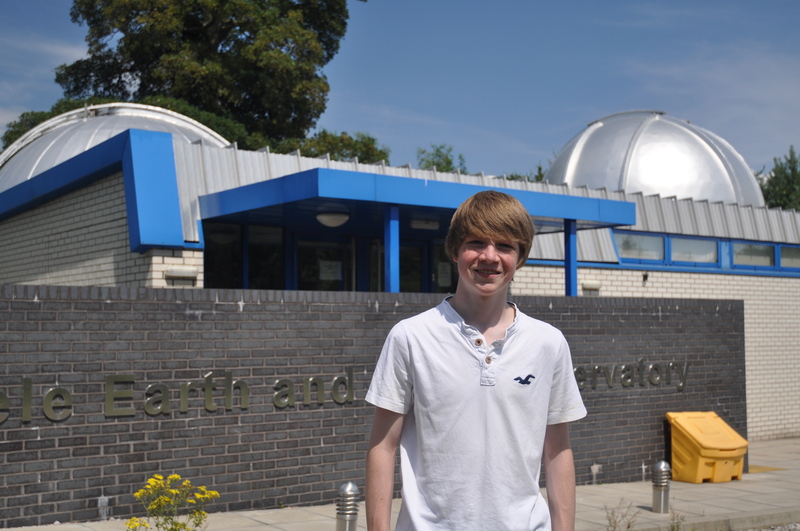 ``I'm hugely excited to have a found a new planet, and I'm very impressed that we can find them so far away'', says Tom, now aged 17. It has taken two years of further observations to prove that Tom's discovery really is a planet. Tom (photos below) found the planet by looking at data collected by the WASP (Wide Angle Search for Planets) project, which surveys the night skies monitoring millions of stars to look for the tell-tale tiny dips (transits) caused by planets passing in front of their host star. Tom's planet has been given the catalogue number WASP-142b, being the 142nd discovery by the WASP collaboration. It is in the Southern constellation of Hydra. 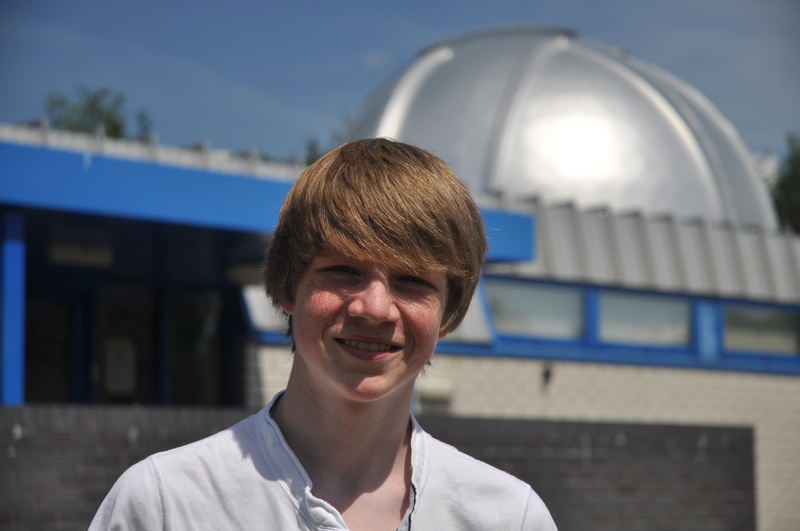 While astronomers worldwide have now found over 1000 extra-solar planets, Tom is possibly the youngest ever to have done so. 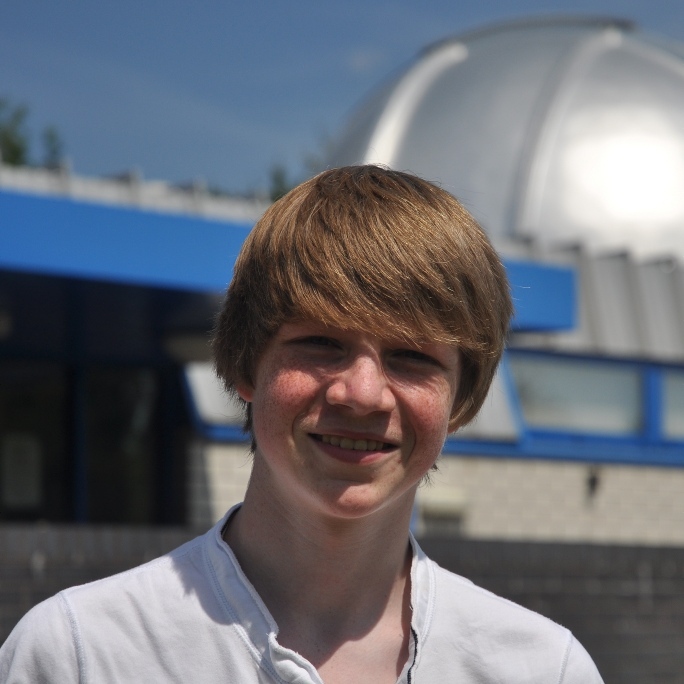 ``The WASP software was impressive, enabling me to search through hundreds of different stars, looking for ones that have a planet'', says Tom. The planet is the same size as Jupiter, but orbits its star in only two days. With such a short orbital period the transits occur frequently, making such planets much easier to find. 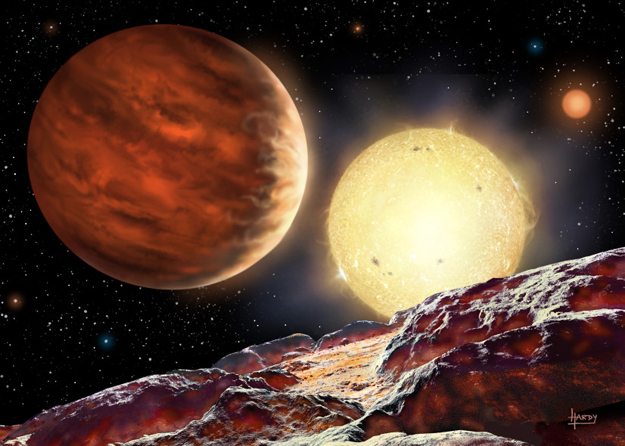 While the planet is much too far away to see directly, an artist's impression shows how it might look (image link below). The hemisphere facing the star is hot, blasted by the irradiation from the star, while the other hemisphere is much cooler. 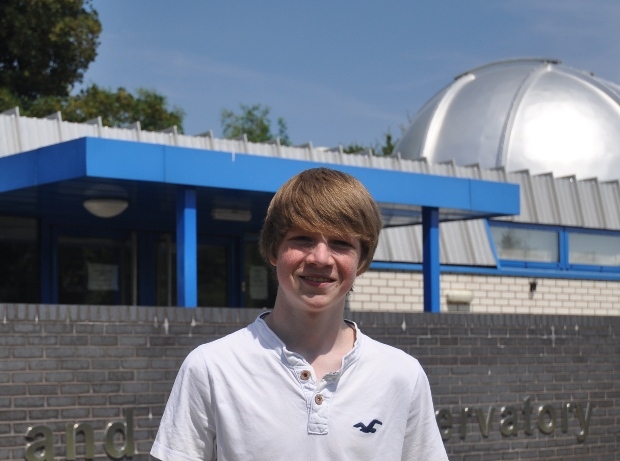 ``Tom is keen to learn about science, so it was easy to train him to look for planets'', says Professor Coel Hellier, who leads the WASP project at Keele. 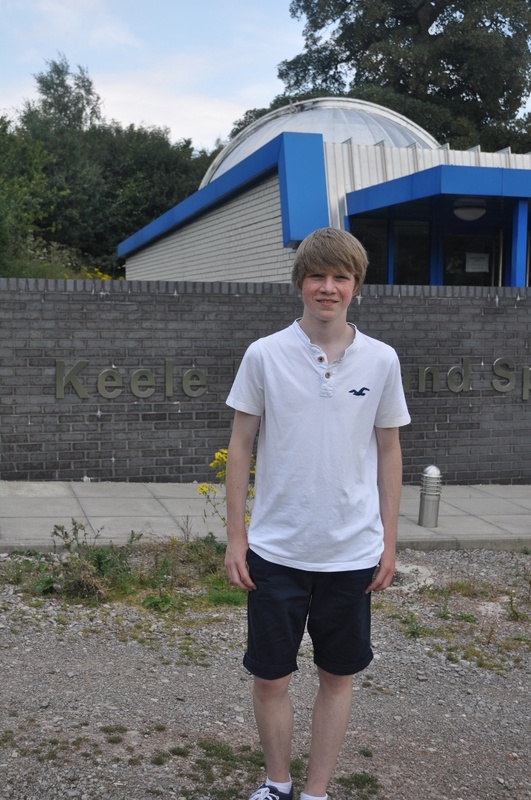 Tom has since achieved 12 GCSEs, all at A*, and wants to study physics at university. The planet is one of a class of ``hot Jupiter'' planets, which -- unlike the planets in our own Solar System -- have very tight orbits close to their stars. They are thought to have migrated inwards through interactions with another planet. Thus it is likely that Tom's planet is not the only planet orbiting that star. The WASP collaboration (Wide Angle Search for Planets) is the UK's leading team discovering planets, having been recognised with a Group Achievement Award by the Royal Astronomical Society. Keele University operates WASP-South, an array of cameras which surveys the Southern Hemisphere sky each clear night. An artist's impression of Tom's planet, WASP-142b, orbiting its star, WASP-142. The planet is depicted as seen from a hypothetical moon. A second, dimmer star is seen in the background. Being 1000 light years away, the planet is too distant to obtain a direct image.